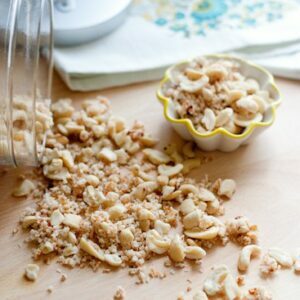 Today I have a little more steam and a spoonful of heaven. I should probably do the dishes, but I’d rather hang out with you guys instead. I have to say that I’ve never actually had a real pineapple whip. * You know, the ones everyone raves about from Disneyland. 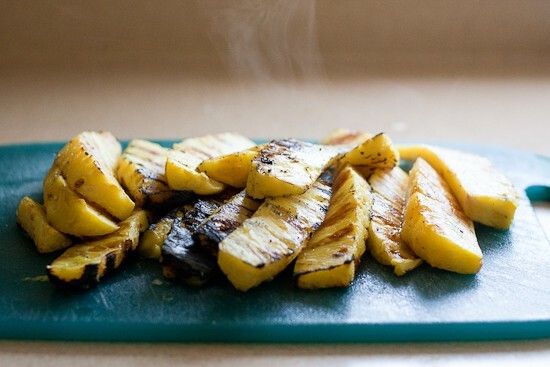 I’ve had a homemade version (which was awesome), but during my grilled pineapple obsession this summer, I wanted to see what it would taste like if the pineapple was grilled first. *Update: I actually tried one, and I have to say I was super disappointed. It SO didn’t live up to the hype. Not to mention the time wasted standing in (yet, another) line. 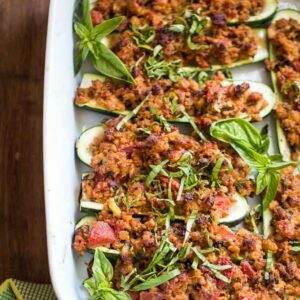 I’d much rather have this homemade version with grilled pineapple! I totally stole these prep shots from the Grilled Pineapple Salsa post. No, not stole. Repurposed. Just cut some grilled pineapple up into chunks and freeze it on a sheet pan. 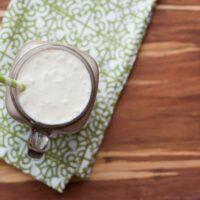 Then when you’re ready, throw it in the blender with a can of coconut cream (or milk), some pineapple juice, and buzz it up. So, is grilling the pineapple worth it? I think so. 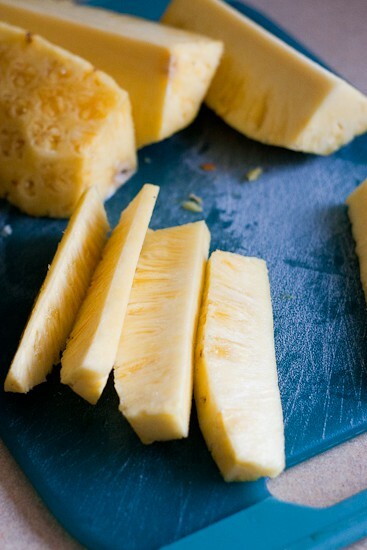 You can also use regular frozen pineapple chunks, but try it grilled at least once. 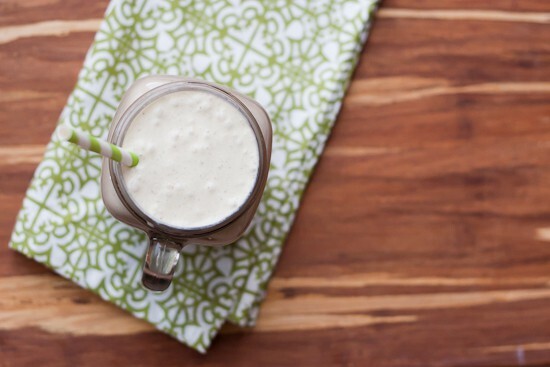 It gives it a more intense flavor and sings a little reggae song in your mouth. Well, almost. It’s definitely cheaper than a trip to the Caribbean. Or Disneyland. Grill pineapple spears on a medium-high grill or on a grill pan. Allow to cool. 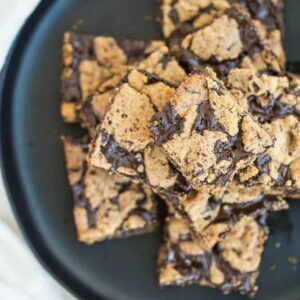 Cut into smaller chunks (around 1-2 inches) and freeze on a sheet pan. Once frozen, transfer to a zip top freezer bag for storage. 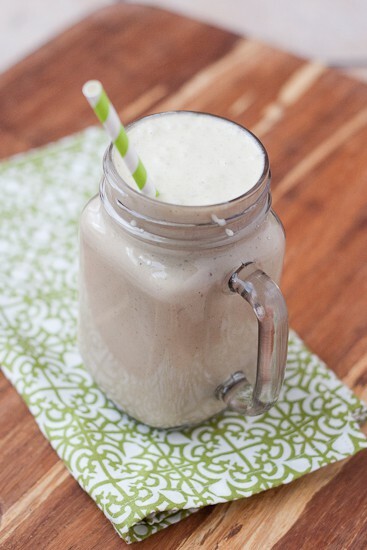 Combine the frozen pineapple, coconut cream (or milk) and pineapple juice in a blender and blend until smooth. Im totally going to have to try this! I love to get my smoothie on and um hello grilled pineapple whip sounds divine!!!!!!!!! I LOVE pineapple whip! I’ll bet it’s even better grilled…great idea!